It’s true….life really is like a box of chocolates…you never known what you’re gone a get. This morning, this is the scene that greeted me right outside the nature center. The young deer seemed to be puzzling over what these odd grass eater were doing in his territory. It had been a very rainy week with strong wind gusts causing tree damage in several locations. The picture below of the Cherry tree with Pileated Woodpecker holes first appeared in an April post. That same tree now looks like the picture below. The interior of the tree is riddled with carpenter ant galleries-no doubt what the woodpecker was after. The insect damage, along with the woodpecker excavations, doomed this tree. And of course, it fell directly across one of the trails. On the way back from clearing the trail, I spotted the terrestrial snail seen below. It was happily resting on a moist Christmas fern frond. The snails and slugs have certainly been enjoying the wet weather even if the rest of us are not! 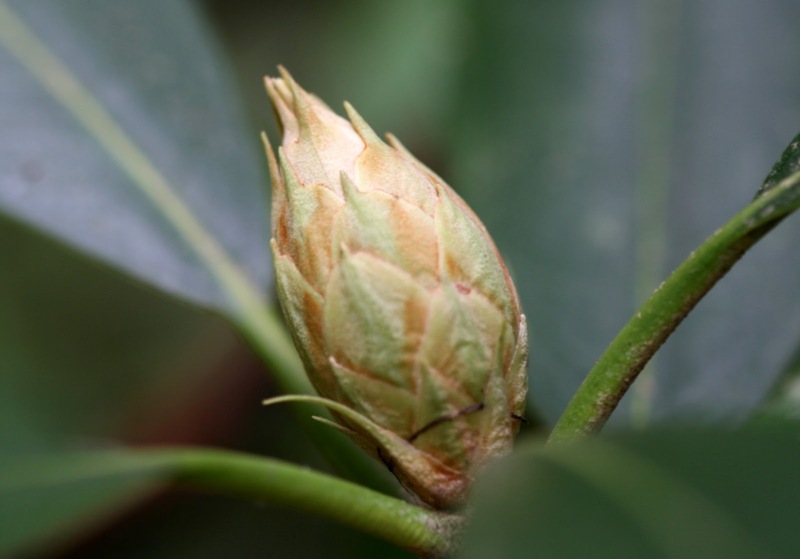 For several weeks now we have been getting inquiries about when the native rhododendron will be in bloom. People often think it blooms earlier when all the cultivars are flowering in May. The native species – the Great Laurel or Rosebay (Rhododendron maximum) is now beginning to bloom. 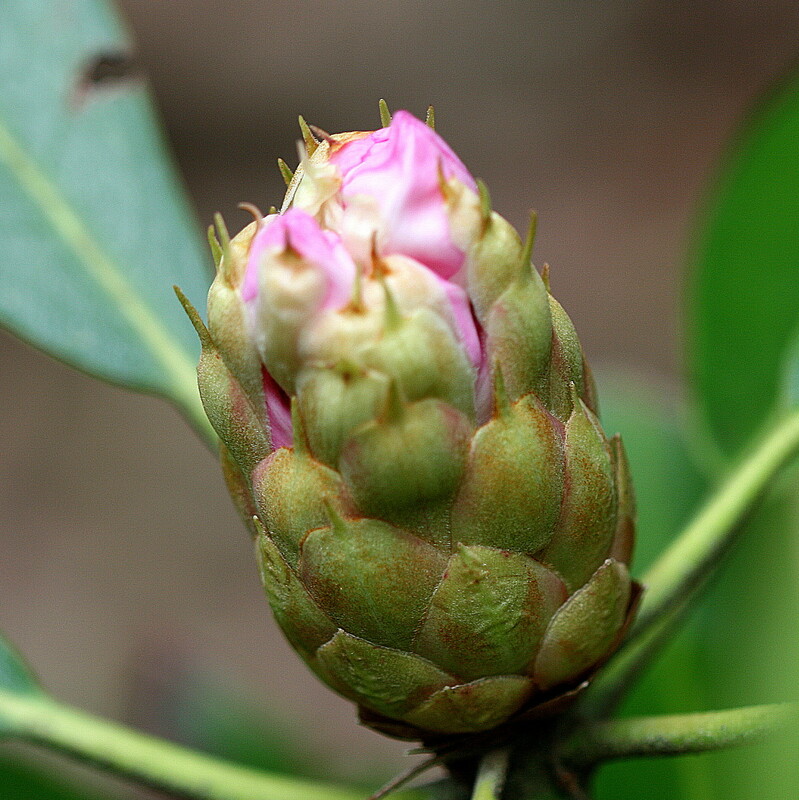 Some of the flower buds are still tightly closed. While others are beginning to show pinkish flower tips. The next stage shows more of the white blossoms emerging. And then finally the flower begins to burst into almost full bloom as seen below. But don’t come rushing out to see it right away. The shrubs will not be at peak blooming until next weekend. Remember….this is just the beginning. With favorable weather conditions, it should be good for the next two weeks. It is blooming a little early this year, but that could be contributed to the hot weather and recent rains. We will continue to post blooming progress here on the blog and on the Wahkeena Facebook page as well.